. Published on November 23, 2018. If you are running any form of business, making, receiving and handling business calls is likely one of your key business activities. 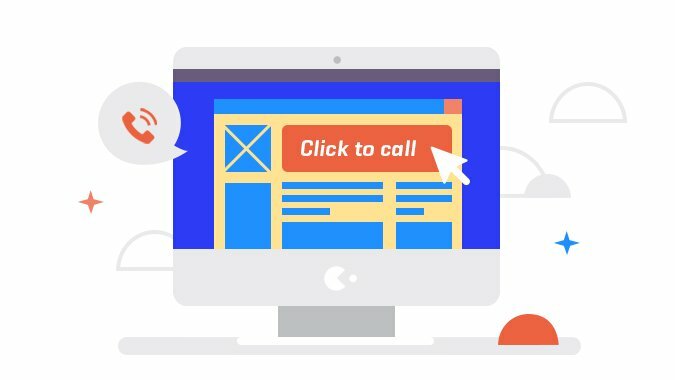 How well calls are handled in any business will go a long way in determining productivity level. And that’s why it is important not only to have a solid virtual phone system but also to monitor your business call center Key Performance Indicators (KPI). In your business there are targets or objectives that you set from time to time to meet, and it is important to keep track of progress at any point in time. This is what Key Performance Indicators (KPI) help you do. A KPI is simply a measurable value that tracks productivity and analyzes different factors influencing it within a company. The KPI makes available all the data about your operations available, but it is your responsibility to improve these numbers to increase productivity level. KPI literally indicates or shows you your key or major business performance levels day in and day out, hence Key Performance Indicators. 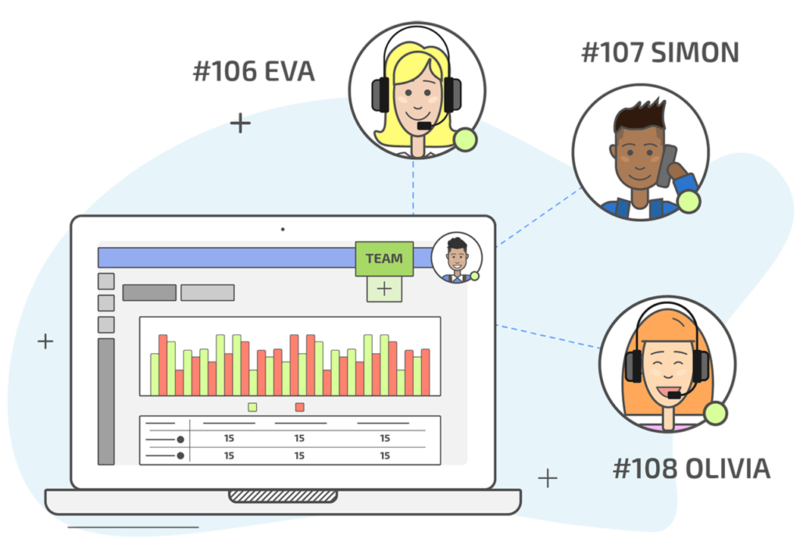 KPI provides detailed information on how each of your employees is working and how each call is being handled by your agents. Are they actually performing their duties the way you would want them to? Are your customers satisfied after making calls to your company? Not a worry, your “friendly neighborhood KPI” has all the answers. Where Do I Find My KPI within my business phone system? The volume tab mainly keeps records of the number of activities that are carried out over time. By default, MightyCall, unlike some other virtual phone systems, keeps and displays activities right from the moment your account becomes active up to the present time. MightyCall has no limit and no information is ever removed without you explicitly deleting it. However, you can set filters for which exact information you want to view. The KPI tab on your dashboard contains your performance reports. Tracks of all attempted calls, ratios of successful ones to unsuccessful ones, voicemails, average speed of answer, etc., all are contained in the performance report. You can learn more about your dashboard and what it contains in the hyperlink. With KPI you can conveniently measure your business performance against your business targets, and how effectively you would be able to do this depends on how effective your KPI is. This is the first and most important determiner of the effectiveness of a KPI. A KPI should be easy to comprehend and measure. Your employees should be able to know what the KPI is measuring at any point in time, as well as how to calculate it. KPI should also be considerably small, as the less volume of data being analyzed at once, the easier it is to understand and manage. In your MightyCall phone system, there are filters that help you control the volume of data to access at a given time. An effective KPI is the one that is achievable. Your employees should know what to do with the information from the KPI. This, of course, follows from the simplicity of the KPI. Business analytics expert Jay Liebowitz always says, “an effective KPI is the one prompts decisions, not additional questions”. Performance reports and data from a KPI should be reported on a timely basis. The timeliness of the report from KPI should, however, be critically analyzed. Data should be reported as often as possible to make you constantly aware of the latest developments, while at the same time not being reported too often, to not swamp employees with data. KPIs should also be accurate with time. It should give a distinctive report of which activities occur during your business hours or non-business hours. KPIs should be visible to everyone within the organization. This will always keep all your employees in the loop, and make them able to always pay attention to their performance and consequently try to be more productive. If there are different departments or divisions within your company, each may be tasked with different targets, and there may also be a collective target that cuts across every team. The visibility of the KPI across these different teams brings about more effectiveness, as each can see where they are against the set target. A KPI should be measurable at all times. KPI may not always be quantitative, involving discreet numbers and figures, but there must always be a standard with which it should be measured. Qualitative computation such as how much each employee is doing, how well customers are satisfied, etc., should be measurable by a KPI. KPIs should provide the precise data that is needed at every point in time. The information presented by the KPI should be a relevant one in meeting the target set. With MightyCall you can from time to time manage the area of focus of the KPI just the way you manage users and groups. This will always ensure the relevance of the information provided by the KPI. What KPIs Can I track? This is the time it takes for calls to get picked up. We all know customers don’t like to wait too much, so it is important to monitor this. You want to know if the number of agents you have is enough to handle your calls, and also find out where calls tend to languish more before being attended to. By tracking this you will better know the decisions to make to reduce customer wait time. This measurement is usually expressed in seconds. This one tells you how many calls are abandoned and how many calls are not able to connect over a certain period. One abandoned call is one lost potential transaction, so it is paramount to monitor these metrics, find out at what time of the day calls are mostly abandoned, and which team or employee mostly tends to abandon calls. You might want to have a talk with them. This metric shows the numbers of calls that come in after working hours. Calls that come in after business hours are as important as those during business hours. One of your best business transactions might be from a call coming in at an “odd” time, so you might want to know how many calls come after work, as this will help you make after-hours call routing more effective. This is measured in percentage. It is a measurement of the quality of agents’ attitude during calls. This usually is comprised of different factors put together. For example, how calm the agent is during the call, how clear his voice is, the manner of greetings, how high the agent’s score is, if he repeats the caller’s case to verify understanding, etc. This is easily achieved with the help of call recording, which records calls for quality assurance. This is the average time it takes for callers to wait on hold before a call is answered. Not every call can be answered immediately, so some calls go on hold. It is important to track this to make sure not too many calls are being held. Too long a holding time will most surely result in calls being disconnected midway through transactions. Putting customers on hold is not advisable, although there are times when this is unavoidable. You can at least make the wait worth the while by choosing a satisfying music on-hold. This is the time of the day when the call load is the highest. Peak hour traffic is one of the major KPIs that you can’t afford to not monitor. Having knowledge of the traffic will help you know which period of the day you are expecting the most calls. This consequently allows you to get enough agents prepared for this period. Customer satisfaction is of paramount importance to any business. This KPI allows you to know how well your customers are satisfied after making calls to your company. This metric is measured in percentage. Your phone system allows callers to leave reviews after calls, so you need to track this, among other factors, to know how well satisfied your customers are and what you need to do to improve your service. This measures the call efficiency of each of your employees. It measures the total number of calls against successful sales achieved by an agent. This is important to track to know which of your employees is lagging and which is doing a great job. This will help you to encourage your employees in order to better achieve the set goals. These KPIs are the major ones that you might want to pay more attention to in order to increase business productivity and achieve business targets. Monitoring your KPIs is one of the most important business steps towards business growth and development.